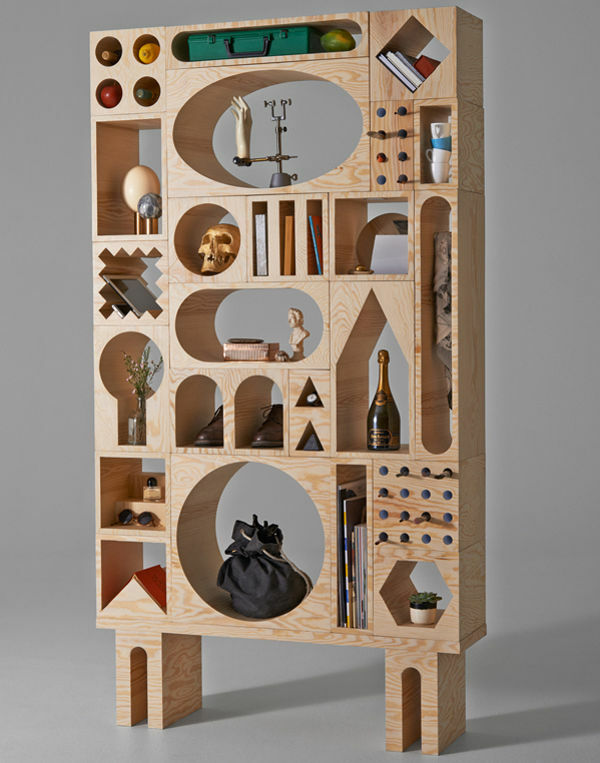 Think toy storage can’t possibly be stylish and sleek? These stunning shelves double as art installations, and once they’ve had their day in the nursery, they’ll look magnificent in any other room of the house. 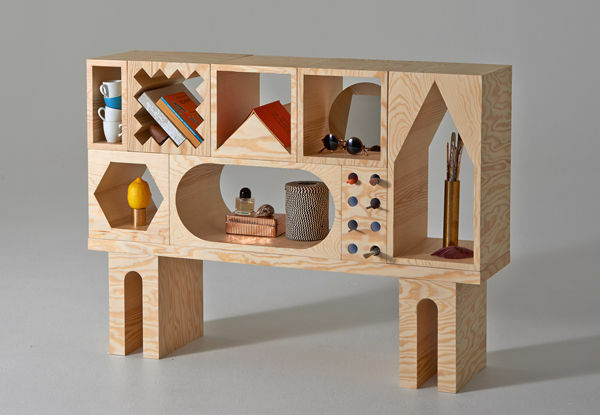 The Room Collection is a collaboration between two Stokholm designers, Kyuhyung Cho and Erik Olovsson. They wanted a departure from the usual when creating their shelving system, and they certainly achieved their brief. 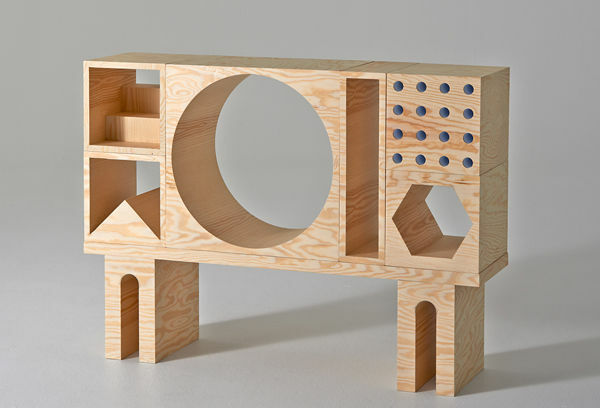 The Room furniture system includes 25 stackable blocks, and a low table. 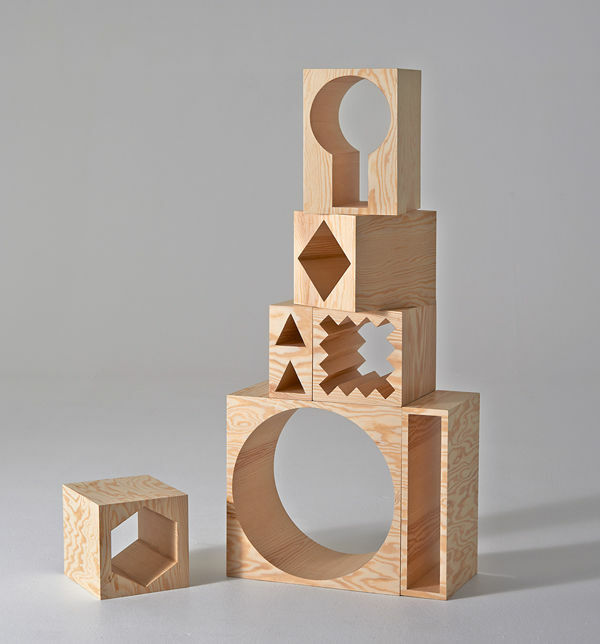 The holes within the the blocks are different geometrical shapes, inspired by architecture and the objects that they may one day hold. 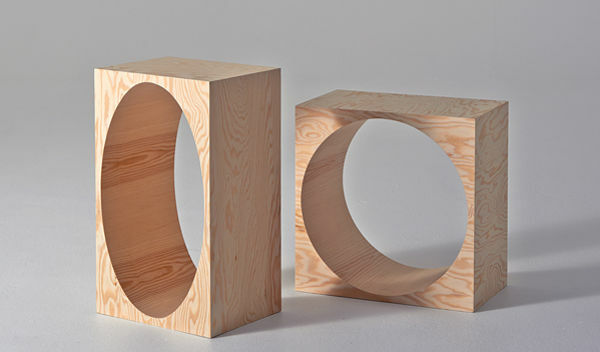 Each of the blocks was inspired by specific objects, so the designers created the voids with these in mind. For example the round void for wine (obviously not while it’s being used in a nursery! ), the zigzag for phones, tablets and laptops, and the peaked for an open book. But of course in a child’s space, the fun is in allowing children to find toys that fit each void. It can also easily be used as one or two low-line units, which is perfect for a child’s space. 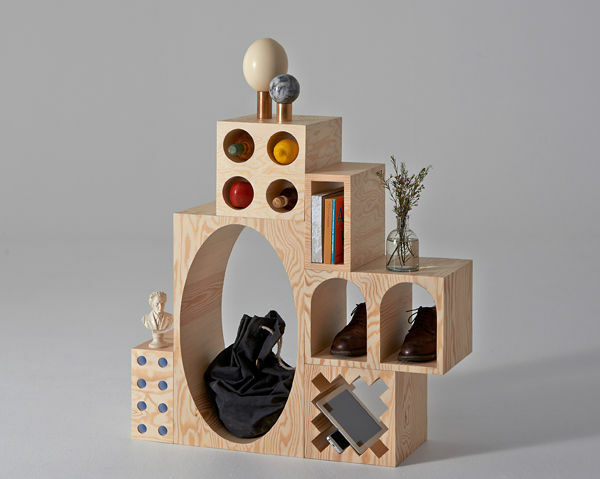 The blocks are made from plywood and finished in matt lacquer, and look amazing as sculptural shelving unit. Now here’s the bad news, the design is still in the prototype stage. But we’ll let you know if it enters into production.